Fermanagh and Omagh District Council are currently reviewing Ulster Scots activities within the District. If you would like to receive information on Fermanagh & Omagh District Council’s Ulster Scots events and activities, please sign up to our e-newsletter by clicking here. 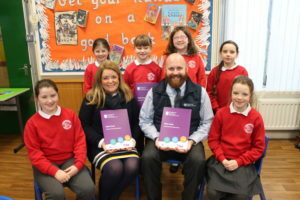 Fermanagh and Omagh District Council is launching a new Education DVD based on the Ulster Scots traditions, language and Culture. 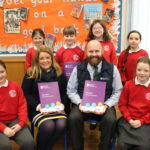 It will serve as a tool to aid teachers in exploring the Ulster Scots tradition with their pupils and combines History, Language, Dancing and Arts and Crafts. Matthew Warrick Education Officer, Ulster Scots Community Network, gives a brief introduction of the history associated with the Ulster Scots tradition. Anne Morrison Smyth, broadcaster and presenter of BBC Radio Ulster’s Ulster Scots programme, “A Kist-o-wurds” presents some of the vocabulary unique to Ulster Scots, covering topics such as parts of the body, clothes and the weather. Ruth Clarke, of Horizon Tutoring, gives a step-by-step tutorial on 6 Scottish Country dances. The pupils of Newtownbutler Primary School demonstrated the steps of the dances under Ruth’s instructions. The Education Pack also includes a written format of the dances kindly provided by Ulster Scots Community Network along with a CD of the accompanying music enabling teachers to teach the dances to their own pupils. .
Local artist and teacher, Elena Murphy, has created 5 fun, unique and easily adaptable craft projects for use in the classroom. From an adorable highland cow to a modern pop art take on Ulster Scots words, there’s something to inspire a new look at the language. The Education pack has step by step guides to each project, including templates and links to the curriculum. 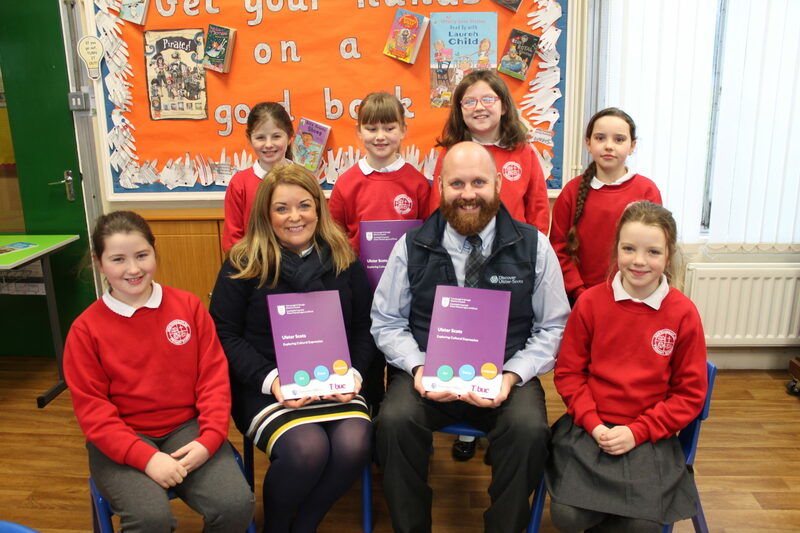 The DVD has been produced as part of the Good Relations Programme, and was jointly funded by The Executive Office and Fermanagh and Omagh District Council under the “Our Cultural Expression” theme of the Together: Building a United Community Strategy. The theme aims to promote mutual respect and understanding amongst the community, where the community’s diversity is strengthened and where cultural expression is celebrated and embraced. The DVD is available free of charge to all primary schools within the Fermanagh and Omagh District Council area. To apply for a free education pack for your school fill in the form here.